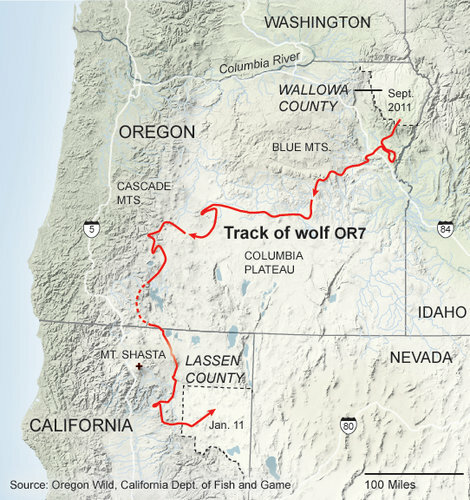 Our Expedition Route follows the tracks of a wolf known as OR-7, a title given to him on a cold February day in 2011.
lying low in a helicopter, Oregon state biologists used coordinates from a GPS collar already active within the Imnaha pack to locate two young wolves. They found them in the Northeast areas of Oregon’s Wallowa Mountains and then expertly tranquilized them from the air. The first wolf collared was male and weighed 90 pounds. He was fitted with a GPS radio collar with the designation OR-7, as the seventh collared wolf in Oregon. He was born in the spring of 2009 within a litter of six of the Imnaha pack, named after a river within their territory. His mother and father both had radio collars, B-300 and OR-4 respectively, under close-watch by wildlife managers as some of the first wolves entering Oregon from Idaho. 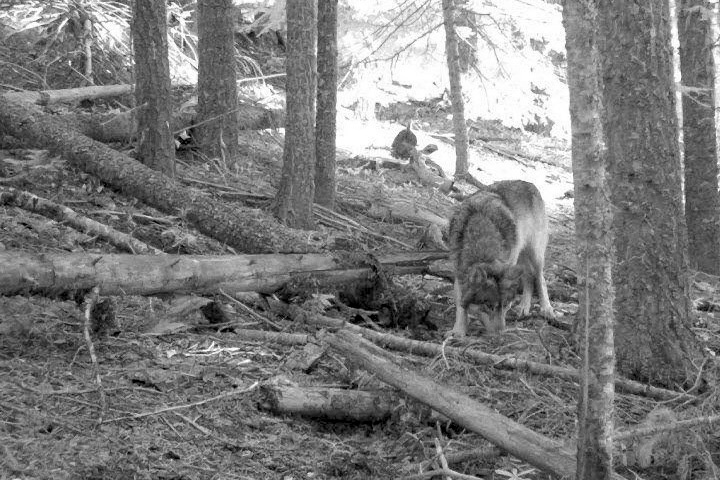 The video footage (right), recorded in November of 2009, shows the growing pack and is the earliest visual record of OR-7. In fall of 2011, OR-7 left his pack to search for his own territory and a mate, behavior typical of young wolves and known as a “dispersal.” OR-7’s tracks meandered and circled through many open areas before he headed westward towards California and international fame. As OR-7 made his way across Oregon, a conservation group Oregon Wild worked to attract attention to his story for increased awareness around wolves in Oregon. They launched a naming contest for children to name the wolf, revealing the winning entry ‘Journey’ the following January. 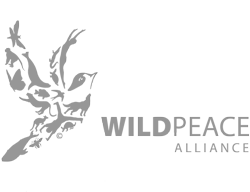 In total, there were over 250 submissions from all over the world. OR-7 leaves the Imnaha pack (their territory is in the Wallawa Mountains near Enterprise, OR) and moves southwest, eventually to the Klamath County area. OR-7 wanders within the Klamath and Douglas Counties area. 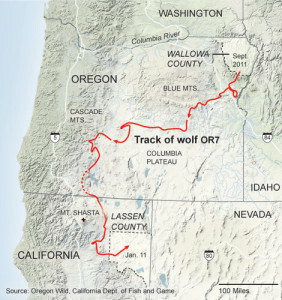 OR-7 crosses the state border into California, entering northeast of the town of Dorris, and becomes the first documented, wild wolf in California since 1924. OR-7 wanders around Northeast California, re-entering Oregon on occasion in March. OR-7 re-enters and resides in Oregon. OR-7 resides in the area west of Klamath Falls, Oregon, only visiting California during two brief visits. ODFW announces Wolf OR-7 has been joined by a mate in the Rogue River-Siskiyou National Forest. ODFW releases photos and confirms at least two wolf pups born to OR-7 and mate. OR-7 remains in Oregon. His location is undisclosed under protection by the Oregon Department of Fish and Wildlife and the Endangered Species Act. OR-7’s GPS radio collar’s batteries are expected to die before the end of the year. ODFW has announced a plan to re-collar Wolf OR-7 or the female mate. Information from Oregon Department of Fish and Wildlife and California Department of Fish and Wildlife.